“You are taking the supreme court of this country for a ride..the attitude is like we will do whatever we want you may say anything.this is nothing short of contempt ,this dadagiri has to stop”, Justice Madan B Lokur to DDA. 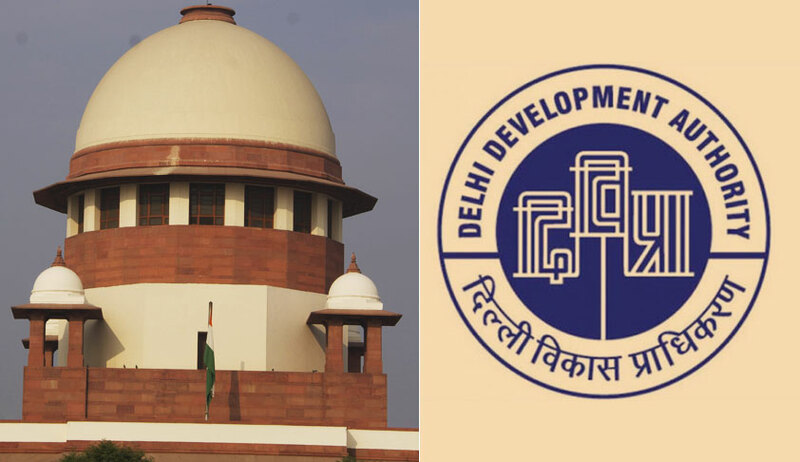 The Supreme Court today put on hold any further move by Delhi Development Authority to amend Delhi Master Plan 2021 aimed to give relief to commercial establishments from sealing. The process was stayed as the bench headed by justice Madan B Lokur which was hearing M C Mehta Vs Union of India case pertaining to sealing was angry with the DDA as it had not filed an affidavit as per the court’s order on February 9 explaining if various assessments like environment impact, traffic, congestion and other safety aspects were made before going ahead with the amendment. The non-filing of the affidavit was brought to the court’s attention by senior advocate Ranjit Kumar who is an amicus in the matter. Whether civic amenities are available and have been provided particularly availability of water not only for drinking water but for other purposes as well (such as dousing fire), management of sewage disposal, Solid Waste Management and supply of electricity etc. Whether any information/statistics is available with the Delhi Pollution Control Board or Centre Pollution Control Board with regard to the pollution in Delhi from 2006 onwards till date particularly when there was liberalization in the roads notified for mixed use or a commercial use. If so, steps taken to reduce the pollution.